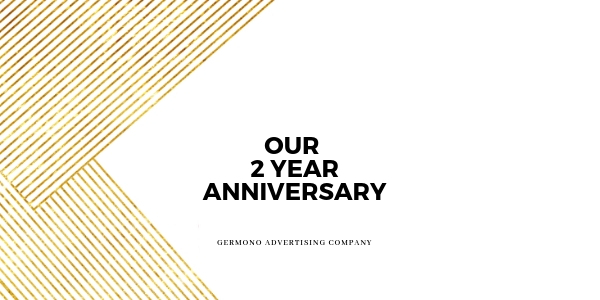 Oh I’ve been looking forward to this date- the 2nd anniversary of launching my advertising agency, Germono Advertising Company! I love being a media buyer for businesses in Hampton Roads, VA. I’ve been in sales pretty much my entire life and in my opinion, being a media buyer is another form of sales…just focusing on increasing sales for your clients. I launched the company because I wanted to help businesses with their advertising and marketing and with my background in television advertising sales, I found it to be a pretty seamless process. I excel at making sense out of very complicated tasks and feel as if I am a natural problem-solver. What I’ve noticed is the influx of requests from business owners that may not be at the point where they are ready for a full-time advertising agency. I answer calls, texts, and emails from owners that have come to me from a referral and need marketing guidance and direction. They may not have a traditional media advertising budget yet. I have also learned that it’s almost impossible for me to have a normal conversation with a business owner without suggesting tips and tricks within the conversation. And every time I do this- the business owner is so grateful and will often reach back out to me with excitement about how the new technique they are trying is working. This brings me to the launch of a new division of the company-Marketing Coaching Sessions! I’m a firm believer that a business should make calculated decisions about new service offerings, and this has been a work in progress for so long. I LOVE change. I embrace it. It’s something a successful entrepreneur knows and understands. I involved a few of my current clients in this development, which was even more exciting because they became advocates. A few high-profile entrepreneurs were involved in the short and long term goal setting portion of this, and to those key people…I am forever grateful for your selflessness. Help is always there if you ask! Germono Advertising Company launched December 2013 as an advertising agency specializing in traditional media buying and placement in the Norfolk , VA market and focuses on helping local businesses succeed. Services include media planning, marketing coaching sessions, advertising consultations, and public speaking on advertising-related topics. Basically, I’m a marketing & advertising ninja. For more information, visit www.Germono.com, like the Germono Advertising Company Facebook page or call 757-777-3780 to learn more. You can also follow via Instagram but that page is managed by company mascot, Athena so all you’ll see there are bullmastiff-selfies.